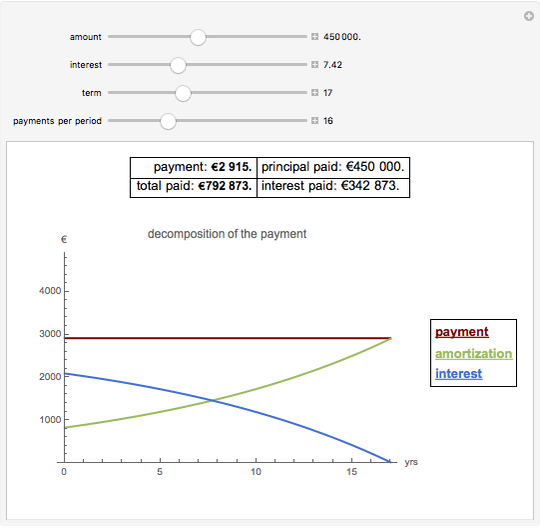 Calculate the payment for a loan with given amount, interest, amortization period, and number of payments during one year. 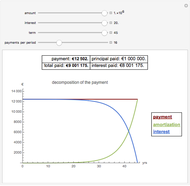 (All amounts are rounded to the nearest euro.) 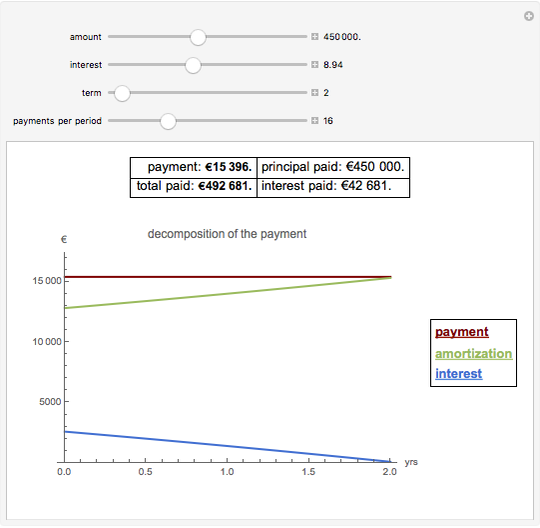 Also see the decomposition of the payments into interest and principal repayment parts over the years. 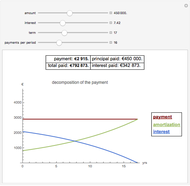 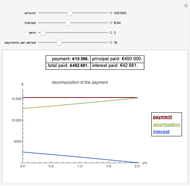 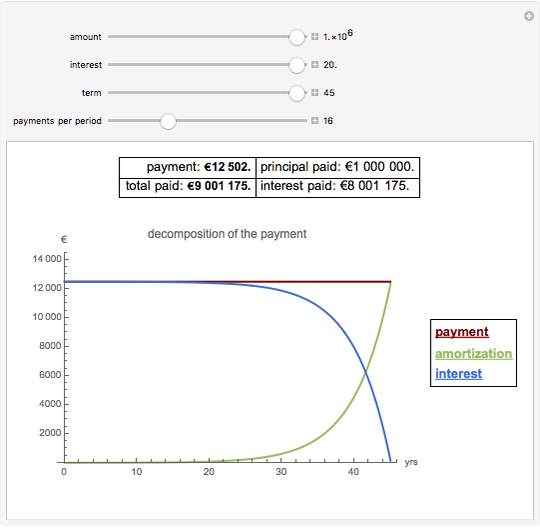 Gergely Nagy "Loan Payment Calculator"